In a world of ideals, having all budgets and unlimited supply of diamonds, people would prefer to have diamonds that are cut beautifully. However, in the real world, each diamond is unique. There are lots of beautiful diamonds to go around, you only have to know how you will find one. Selecting diamonds Toronto is about balancing various factors in making the most out of your budget. Every factor is contributing to the prestige and beauty of you diamond. People are oftentimes using the term Carat as they discuss how big the diamond is, but Carat actually refers to the diamond’s weight. 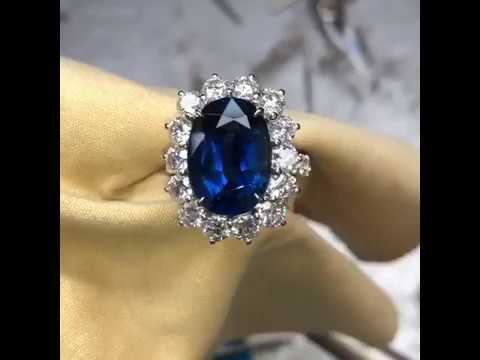 There is no rule about the carat weight that you need to purchase, but you will be doubtlessly heard that the bigger, the better. Having a bigger diamond is great but must not forget about the other aspects of its quality. Some useful tip is in finding a certified diamond is comparing the diameters of many different diamonds. Because each diamond is cut individually, some will appear bigger as compared to the others with the same weight. The term “cut” refers to the proportions and finish of diamonds Toronto and it is essential in determining the beauty of the diamond. To get the right angles will make sure a beautiful diamond, which is full of life. There are some cases that it can be harder to spot the flaws in a brilliant and fiery diamond. Generally, a diamond has five grades: Excellent, Very Good, Good, Fair, and Poor. The GIA awarded excellent as the highest grade while some other laboratories are using words such as ideal and numbers such as zero. If you would want to play safe, you can stick to excellent and very good cuts when selecting your diamond. There is approximately 75 percent of diamonds Toronto that are sold all throughout the world, which is Round Brilliant. Round diamonds are the most brilliant, most expensive and the most popular. If will buy a diamond as a surprise, this will be the safest bet, generally. There is no true shape hierarchy to be better or worse, it is only a matter of preferences. The second most popular is the so-called Princess Cuts, which is a classic alternative to the Round Brilliant. On the other hand, Cushion Cuts have a vintage beautiful look and they are trendy. If you would want a different but not that crazy, there are the Radiant Cut diamonds Toronto, as well as the Oval Cut and Asscher Cut. There are essential differences among the shapes. Like, for instance, the emerald cut versus the radiant cut. Even though they are similar in shape, the additional facets of the radiant cut are giving it extra sparkle and fire. If you would want the understated elegance of the emerald cut, you may consider that is quicker to spot some imperfections and choose a grade with higher clarity. Whatever the type of diamond you want to purchase, you should consider the factors on the quality diamonds Toronto to make the best out of your budget.